A full review of the latest in the series of Blackberry Torch smartphone series. 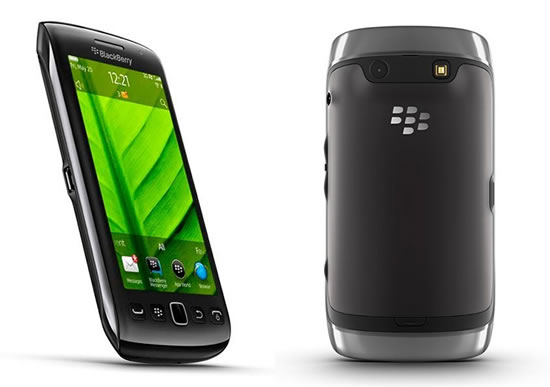 The Blackberry Torch 9860 is a brand new release by RIM. The phone is fully touch screen and has a 3.6 inch display making it the largest screen of all Blackberry’s released so far, this will allow users plenty of space to navigate around the awesome Blackberry 7 operating system. At the bottom of the phone underneath the touch screen is a very nice track pad which allows more service navigating around the phone. Internally the phone holds a 1.2GHz processor, has 768MB RAM and an excellent 4GB storage built in, however this internal storage with the choice of using a microSD card to increase the phones storage. The phone has a 5MP camera built in for those excellent quality pictures and has the capability of recording Video in HD 720p. Plus it boasts the usual WiFi, Bluetooth and 3G capabilities as you would expect from a smartphone. The Torch 9860 is a well desired upgrade with massive improvements in the hardware and software, with it being a fully touch screen device it is a major improvement on previous fully touch screen devices released by RIM. This device does seem to be the fastest and most reliable device produced by RIM to date which the 1.2GHz processor and the Blackberry 7 operating system will have achieved. The new operating system allows users to have excellent speed when browsing the web which is another great plus for the phone as previous Blackberry phones have been pretty slow when using the internet browser. The design of the device has been made in a way that it is nice and easy to grip and comfortable to hold. It allows users to operate the phone only using one hand due to the ease of use of the navigation buttons. For users wanting a smartphone that can browse the web, take and look at pictures and play videos a lot, then the Torch 9860 is the perfect phone for you, as it allows users to do all that with ease and with great performance. With its improved hardware and software there is no other Blackberry out there that is better. In fact this Blackberry could possibly be the smartphone that out performs many of its rivals and with the new operating system which will allow this blackberry smart phone to reach its full potential with ease.